At an early age she had already developed her own unique style of keyboard playing, which combines intense emotiveness and powerful expressivity with extraordinary pianistic technique. 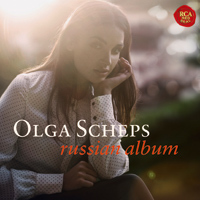 Olga completed piano studies with Pavel Gililov in 2013 in her adopted home of Cologne. She has taken a deliberately individual path, building her career carefully and developing her unique style in her own way, for the most part avoiding the competition circuit that many aspiring classical pianists spend their twenties investing their time in. Olga plays with immediacy and intimacy, and an astounding ability to produce minute shades of dynamics and put them in the service of expression. The result is an emotional style of piano playing that touches the listener deeply. Alfred Brendel took notice of Olga early on and is credited with providing her with encouragement since she was 15. However, he does not seem to have contributed any influence over Olga’s style or her choice of repertoire, both of which are very different from – one might even say exclusive of – Brendel’s. I first learned about Olga in May when I saw a photo of her with The Danish String Quartet (who I follow on FaceBook) at a rehearsal for a performance of the Shostakovich Piano Quintet the five of them were preparing for her Israeli debut concerts. Although her recordings are not distributed in the United States, I was able to obtain copies through third party sellers on the internet, and through direct download. Only available through download, a 2009 live recording features Olga in recital at the Klavier-Festival Ruhr. The very interesting program is a tour-de-force of romantic pianism, consisting of two C Major fantasies: the Schumann Op. 17, and the celebrated Wanderer Fantasy by Franz Schubert; and two rondos: the Mozart A minor K. 511, and Mendelssohn’s E Major Rondo capriccioso, Op. 14. It is a demanding and technically challenging program – especially the Wanderer Fantasy, which is renowned among pianists for the difficulty of some passages – and obviously chosen to make a splash at festival. Olga delivers even the most gnarly, muscly moments with strength and assurance and sings lyrically whenever she has the opportunity. 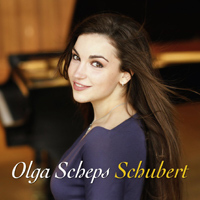 Olga’s unusual Schubert recital CD released in 2012 contains many pieces I was unfamiliar with along with the more commonly performed Impromptus and Valses Nobles. It is a quieter, more intimate effort than her other CDs, with less virtuosic display and instead an emphasis on dance rhythms and short forms. Again, there are many waltzes, as well as melancholy and sentimental moments. It was her 2014 release The Chopin Piano Concertos that made such a strong initial impression on me – the Youtube video at the top of this post inspired me to find the recording, which does not disappoint in any way. This is the most beautiful, intimate, and emotionally compelling recording of these pieces I have heard in the thirty-five odd years I have admired them, since I first purchased a recording by Arthur Rubinstein in the late 1970s. 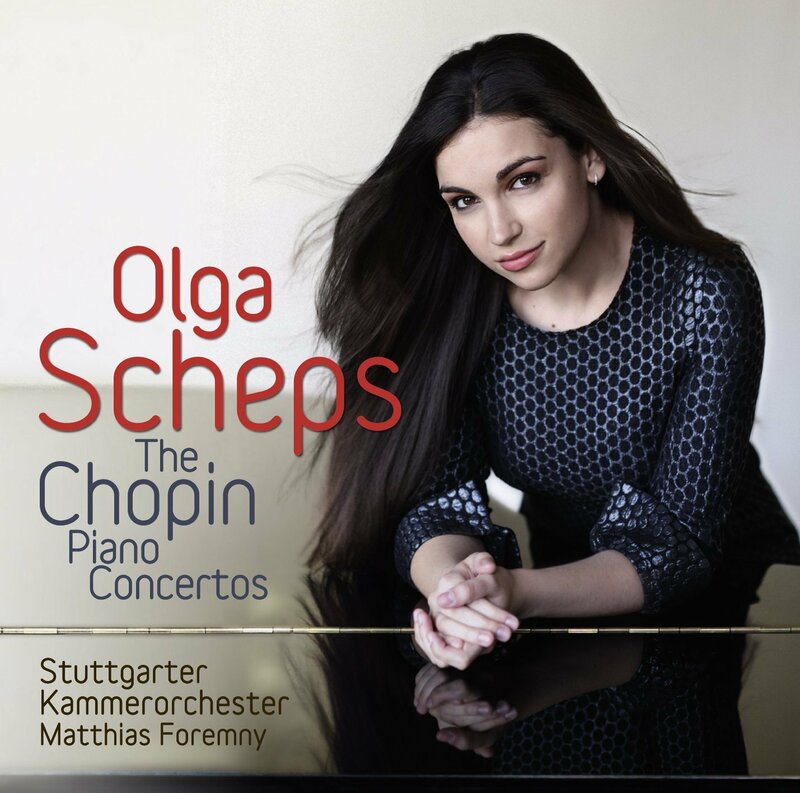 Olga takes moderate tempi with these works and she has an uncanny ability to “make every note count” – passages other pianists may treat as secondary are revealed in a new light. She uses her tremendous powers of dynamics to great effect here – the music veers between intoxicating passion, suspense, and drama and moments of great tenderness. Chopin’s concerti have often been criticized for a lack of flair or skill in the orchestration – they are his only orchestral works – and other composers have tried re-orchestrating them for over a hundred years. This recording is one of those experiments, and the most successful I have heard. 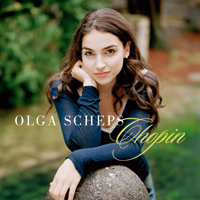 Olga plays the concerti accompanied by string orchestra alone (no winds or percussion) in arrangements based on chamber music versions Chopin himself played in salons in the 1830s with string quintet. Melodies and effects given to woodwinds and brass in the full orchestration are reassigned to divisi strings, and the result is warm and luminous. 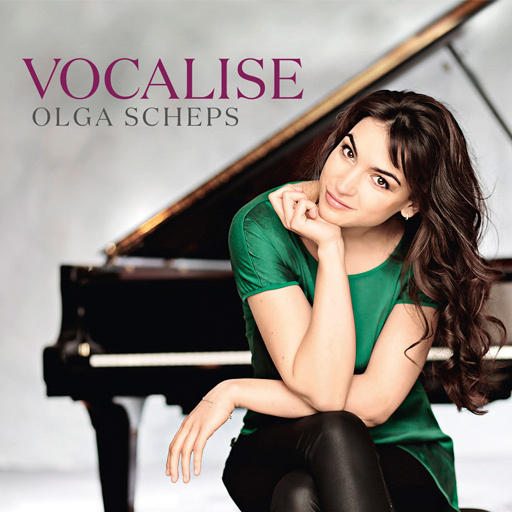 Olga’s new recording Vocalise was released two weeks ago – I had to order it from Germany and my copy just arrived a few days ago. Vocalise is a recital program that celebrates the nineteenth century fascination with the idea of the piano as a “vocal instrument” and it’s ability in the hands of virtuosi to sing lyrically in transcriptions of music in which the melody was originally intended to be sung, or in pieces that draw their inspiration or style from folksong and lieder. Long a part of Olga’s repertoire, Schubert’s Wanderer Fantasy (see above) finally makes it’s way onto a studio recording in a riveting performance and takes pride of place on this recital, which takes it’s name Vocalise from Rachmaninov’s wordless 1912 song featured here in a transcription for piano solo by Alan Richardson. Nineteenth century transcriptions include Liszt’s famous transcription of Schumann’s Widmung, the opening lied in his song cycle Myrthen, Op. 25, and transcriptions of music by Gluck and Johann Sebastian Bach by Liszt’s contemporaries. The inclusion of music by Sebastian (an arrangement of the Siciliano from the Flute Sonata in E flat Major, BWV 1031) and Brahms (Intermezzo in E flat Major, Op. 117, No. 1) are wonderful additions to Olga’s repertoire and personal favorites of this reviewer. The disc opens with the stormy Chopin Nocturne in C minor, Op. 48, No.1, and closes with Liszt’s Liebestraum No. 3 in A flat Major, perhaps the most ubiquitous Romantic “love song” for piano solo. Vocalise is a remarkable recital, and showcases Olga’s extraordinary technique and powers of expression to great effect. If Sony capitalizes on Olga’s beauty by splashing her image all over her CDs and marketing materials, who can blame them? She’s gorgeous and photogenic. Beyond Olga’s elegance, poise, and physical beauty is an extraordinary musician – a poet of the piano. I hope she finds her way to a concert hall near me soon. By walterbitner in Meet, Music, Piano & Harpsichord on July 31, 2015 .